Wedding Toasts: with a little help from your cool, new bffs. I am asked A LOT about wedding toasts…How long should they be? (Under five minutes) Should my toast be funny? (Sure, but no inside jokes) May I walk around while I toast? (Please don’t…”Walkers” get cut from the film). A Black Sheep Filmworks‘ wedding film relies heavily on audio, especially speeches, vows and even pre-wedding interviews. So it’s very important that your toasts are top notch, as you will be listening to them for years to come. Speech Tank to the rescue!!! Read on to see how to make your best man and bridesmaid speeches “drop the mic” worthy. And no, you should not begin with “For those of you who don’t know me…” 😉 Many thanks to Rent the Runway’s blog The Shift for the following post! First there was DIY. Then, came DIQ (Do It Quick). Last year, Abby Larsen, founder of StyleMePretty, a popular bridal inspiration site, pronounced DIQ as the new DIY (much to the relief of stressed out brides everywhere!) What’s next? We’re predicting 2017 will be the year of DWYW (Do What You Want) wedding planning. Enter Speech Tank, a Brooklyn-based speechwriting company founded by Marisa Polansky and Kristine Keller. 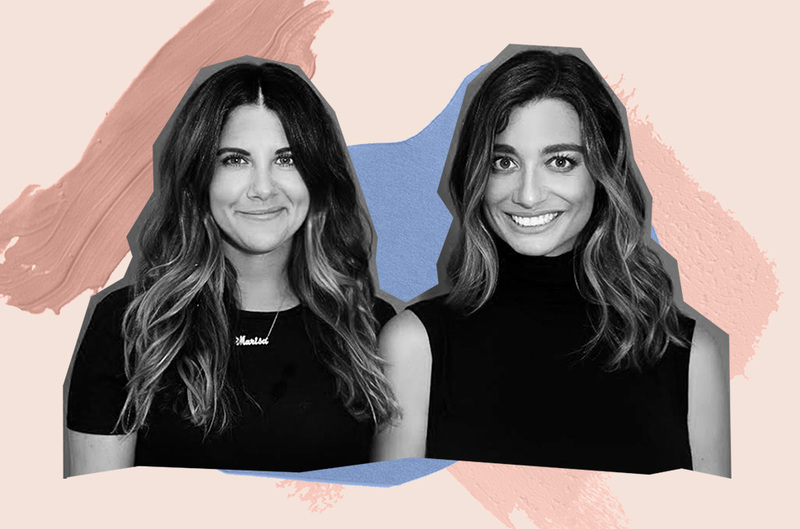 The duo writes speeches for all occasions, but got their start helping anxious friends with maid-of-honor and best-man toasts. By day, Marisa is a book editor at a major publishing house and Kristine is a writer and partnerships manager at a fashion non-profit. At night, they conduct interviews with clients turning their memories into mic-drop-worthy speeches. “We don’t hang up the phone until we feel we’ve got enough to work from,” says Kristine. While some may find it controversial to outsource something so personal, any business that makes wedding prep smarter (and less stressful) has our attention. We caught up with Kristine and Marisa who revealed the “kiss of death” for wedding toasts, shared some of their speech-writing secrets, and told us about the ups and downs of side-hustle life. Read on. How did you get the idea for Speechtank? Marisa: Our friends came to us with so much anxiety about speeches they had to give, primarily at weddings. They are so capable and yet, they couldn’t come up with the idea. Working with us, they’d end up with this really personal speech. And after doing many, many, many of these for our friends we decided there’s a real market for this. What kind of speeches do you guys write? Marisa: Maid of honor or best man speeches… also [for] birthday parties, commencements and we’ve started doing eulogies, too. Kristine: We’re not ruling anything out at this point. It must be so interesting speaking to people at pivotal moments in their life. Is that what drew you to this business? Kristine: Absolutely. That’s one of our favorite parts: listening to people’s stories. We love hearing about how people met or why someone is meaningful to them. We love to be that person to our friends, too – emphatetic, great listeners. We want to help you and make you feel confident. Kristine, you worked as a trained field worker “mastering a method of questioning that helps people reveal their stories.” Can you share a secret for getting people to open up? Kristine: Avoid generalizations. We try to get specific stories from people. Those are going to resonate way more. Also, never ask a yes or no question because it ends there. Marisa, by day, you’re a book editor. How is editing a book similar or different than editing a speech? Marisa: Authors are used to being edited, whereas someone who comes to us to write a speech isn’t. Every word is really important to them. Sometimes they feel like they want to say everything and include every inside joke they’ve ever had with their friend. So, what makes a good maid of honor speech or best man speech? Kristine: Stick to a theme. Marisa: I think of giving a wedding speech like telling a story. It should have a beginning, middle and end. It should all tie together. Keep it short. Everyone knows this as a guest at a wedding…but not always when it gets to be your turn to give a speech. What makes a not-so-good speech? Marisa: Inside jokes are the kiss of death. They’re not really funny to anyone else. You have to tell the whole story and it doesn’t really ever land but weirdly it’s the thing people gravitate towards. Don’t just think about the person you’re giving the speech to. It’s really for everyone in the room. Kristine: Avoid inside jokes at all cost. We always say ‘it’s not a card.’ If you want to say all those things–write a card. What would you say to someone who might balk at the idea of outsourcing something so personal? Kristine: The goal is to alleviate any anxiety from writing or delivering a speech. We really want to give you that superstar moment. We joke that we want you drop the mic at the end. We want you to feel like Beyonce. Marisa: It’s been so successful so far because it really feels like someone’s words parroted back at them. We figure out what their best story is and the best way to tell it. They truly are so personalized and intimate. What do you charge for a maid of honor or best man speech? Kristine: On the first phone call we decide together on the package. The price depends on the scope of work and there’s a rush fee if it’s under a week. Some people will say they already have a draft and just want us to make it better. Some people say they have absolutely no idea where to start. Marisa: We really want it to be affordable especially with all the expenses that go into weddings. What’s the best and worst part of having a side gig? Kristine: The best part is it’s a creative outlet–[you get to] do something else you’re deeply passionate about. Marisa: The worst is it often feels like they’re aren’t enough hours of the day. Kristine: And drinking more espressos. What are your tips for other women starting a business or passion project? Kristine: Use the 3 a.m. benchmark. If this is something you wouldn’t mind working on or thinking about at three in the morning that could be a very real possibility. It goes against Speechtank’s best practices to use cliches but in this case it’s appropriate: you have to love what you’re doing.